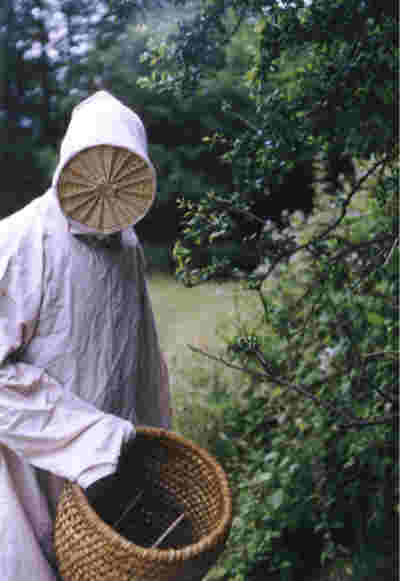 Martin Buckle in his copy of a beekeeper’s clothing from a Breughel painting. A full-day event led by Martin Buckle and funded by Countryside Council for Wales, as part of Snowdonia Society Ty Hyll honeybee initiative. Take home your own skep. No charge for the workshop, small charge for optional lunch. Note: Places are limited, and will fill up quickly. Please contact David Archer to book your place and lunch. Ty Hyll honeybee centre and Pot Mel tearoom near Capel Curig are open Tuesday to Sunday, 10.30am to 5pm. Conwy RSPB 9am to 1pm. 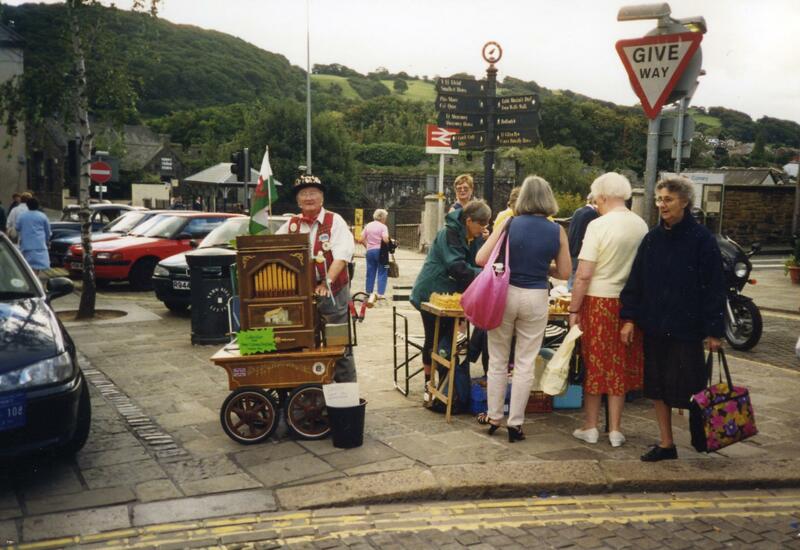 Tal y Bont Playing Field, Conwy Valley starts at 1pm. The best in the Conwy Valley. Tal y Cafn Apiguard available, contact Chris to place your order. Beekeeping for beginners Winter course starts at Henfaes on 11th September, booking now. See www.beeswales.co.uk for details and booking form.